With the onset of war in 1914 the demand for cordite shot up, as did the demand for the acetone needed to make it. In 1915 the Office of Woods and Forests established a wood alcohol plant in Bideford, which was then placed under the direct control of the Ministry of Munitions. At that time, a further factory was established, in the New Forest, Hampshire, by the UK specialists in acetone production, a company called Kynoch’s Ltd. The name of Kynoch’s foreshore might be linked to this company (though this remains to be established). At the outset of the war acetone was produced from wood alcohol and that in turn by fermenting wood to destruction. But the short supply of such wood led to the development of a new process that could utilize a much more readily available crop – maize. Maize may not ever have been used in the Bideford factory, but today it is still widely grown on local farms, with most apparently used as animal feed. The rapid soil erosion associated with this crop may help explain why the Torridge shore seems to be muddier these days than it was in the past. 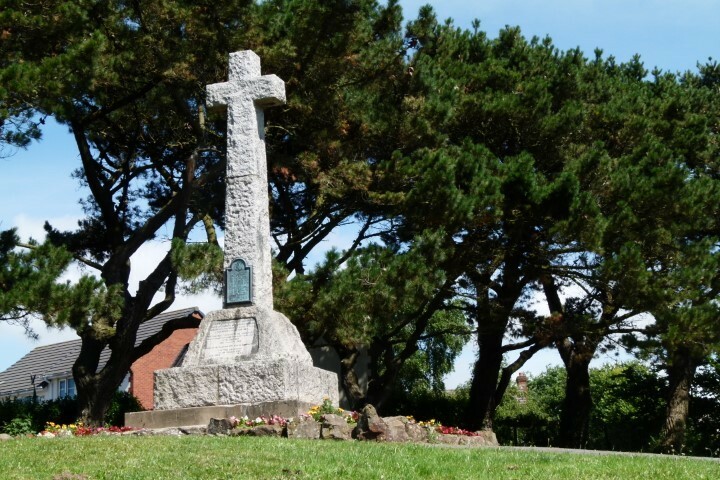 The war of 1914-18 cost so many lives that the people of Bideford determined that their fallen should have a fitting monument. A fund was raised by public subscription and the field containing Chudleigh Fort was purchased as a public open space, known as The Peace Park, the entire plot was intended to serve as one huge war memorial for Bideford. In 1921, above the Victorian ramparts and at the summit of the park, a more traditional monument was erected. In the form of a massive granite cross over 4 meters high, it could, until the park’s fringe of Monterey Pines grew up, be seen from much of the town. Whilst Peace Park originally commemorated only the fallen of the First World War, after 1945 it served as a monument to those who fell in the Second as well, a brass plaque being added to the cross to reflect that fact.